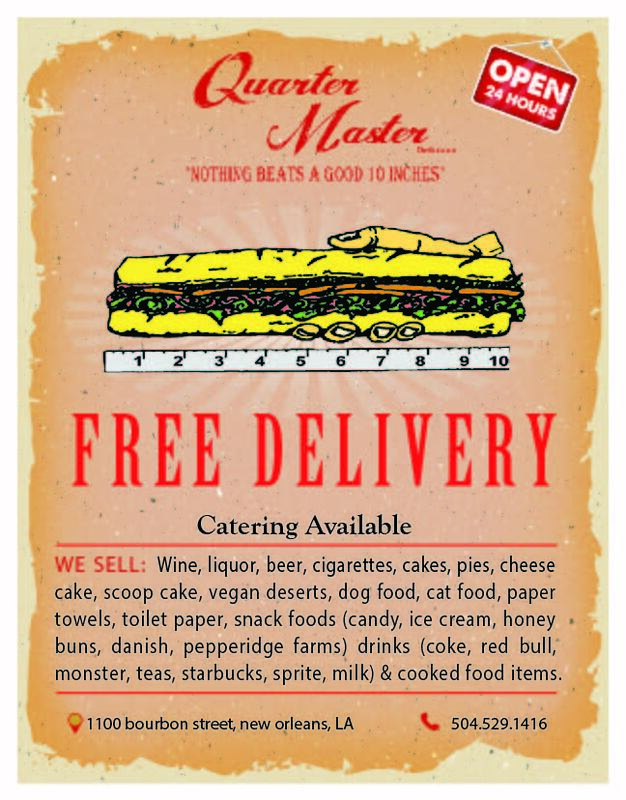 The Quarter Master -- sometimes called Nellie Deli-- has been serving home style southern food for 30 years. 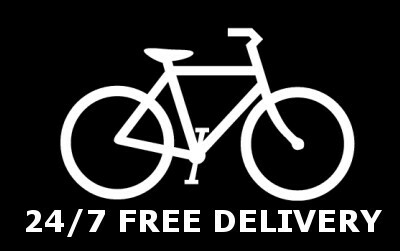 We provide 24 hour FREE delivery of grocery items, packaged liquor, tobacco products, and the hot food our cooks make every day all the way through the night. 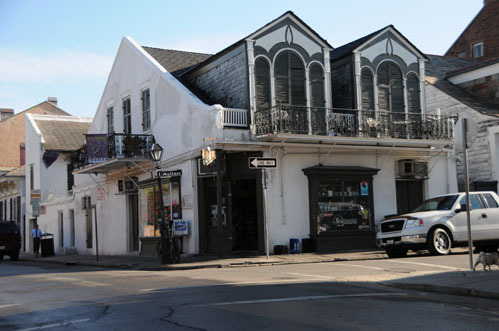 We prepare fresh daily specials, half pound burgers, and over stuffed ten inch po-boys 365 days a year. Whether you're looking for meatloaf made from scratch, fresh sautéed vegetables, or maybe just a slice of classic cheese cake; the kitchen at Quarter Master will have you feeling satisfied in no time. "Nothing Beats A Good Ten Inches."